THE Fraser Coast was again smashed by a drenching overnight with nearly 82.6mm falling in Hervey Bay and 96.4mm in Maryborough. According to the Bureau of Meteorology, the majority of these falls hit late last night and into the early hours of Tuesday morning. We can expect heavy falls throughout Tuesday with storm activity possible. Falls from 30-50mm are expected on Wednesday before easing on Thursday. As of 6.23am severe thunderstorms are no longer occurring in Queensland. The immediate threat of severe thunderstorms has passed, but the situation will continue to be monitored and further warnings will be issued on BOM if necessary. 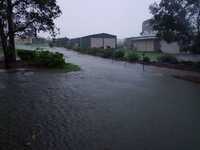 ABOUT 53mm of rain has fallen in Maryborough and 47.2mm in Hervey Bay since 9am Monday. 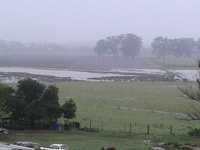 Forecasters have predicted increasingly heavy rain overnight which is not expected to ease until Wednesday. A SEVERE weather warning of heavy rain and damaging winds has been issued to residents in Capricornia and Wide Bay Burnett. An intensifying upper trough over Central Queensland which is headed north is forecast to combine with a moist air mass and coastal trough likely to cause heavy rain and isolated thunderstorms. 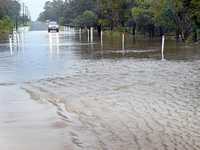 Since 9am Monday the Bureau of Meteorology has recorded 34mm of rainfall in Hervey Bay and 49mm in Maryborough. 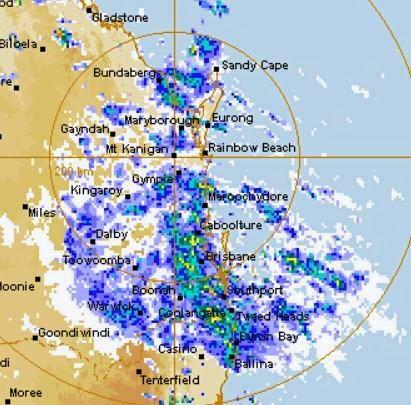 Rain is expected to intensify in the next 24 hours with heavy rain and strong wind gusts of up to 90km/h set to hammer Fraser Island and other parts of the coast. As of Tuesday 120-180mm of rain is expected to fall within a six hour period. 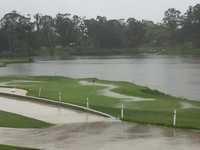 THE Bureau of Meteorology has recorded another 25.6mm for Hervey Bay since 9am on Monday. Steady falls throughout the day have caused roads to flood and be inundated with water across the region. 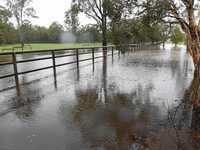 Official reports for Maryborough indicate just over 18mm has fallen in the city since 9am Monday. 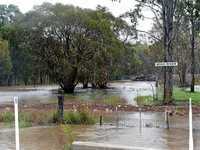 Overflowing at 200mm since lunch time on Sunday in Riverheads. HERVEY Bay copped a drenching overnight with an official 93.4mm recorded by the Bureau of Meteorology up until 6am on Monday morning. The region received these much-needed falls throughout the night, with the majority hitting the area in the early hours of the Monday after starting about 11.30am on Sunday. In Maryborough 61.4mm was recorded by the bureau. We can expect more rain across the region today with possible storm activity. Don't put the umbrella away because we're in for a wet week with the constant falls rain set to continue. It's not expected to be the "possible 500mm" predicted by Higgins Storm Chasing, according to the Bureau of Meteorology. 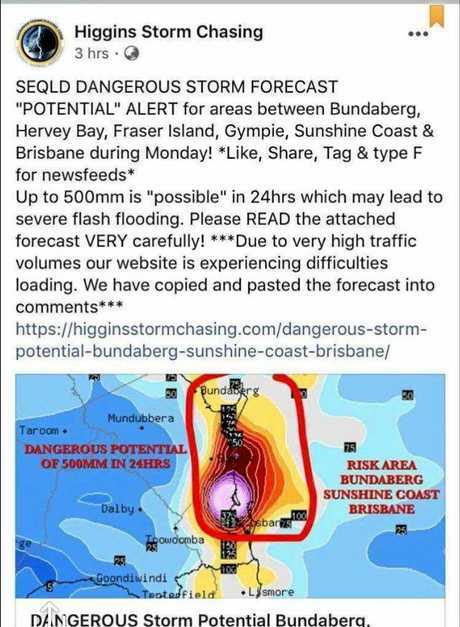 A Facebook post by Higgins Storm Chasing has been circulating social media on Sunday, stating Wide Bay was on potential alert for a dangerous storm. 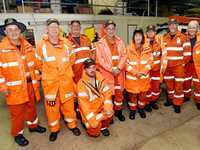 "Worse case scenario, a very dangerous thunderstorm with extremely heavy rainfall up to 500mm has the 'potential' to develop between about Bundaberg and Brisbane on Monday," the link read. "This type of storm could cause severe flash flooding and place many lives at risk."